Made by Domino, a leading producer of trials parts. 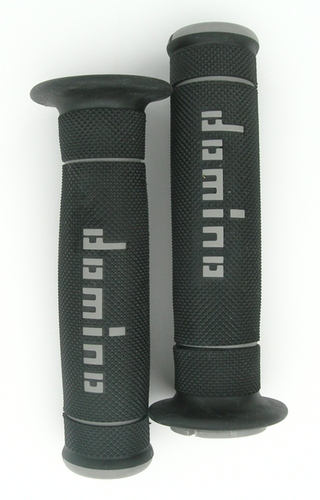 These grips are made from two-compound rubber and and come with manufacturered grooves for easy location of safety wires. This new design allows for easy fitting and the new rubber inner layer is designed to prevent slipping.